How about doing someone an anonymous good turn today? If they find out it doesn’t count and you can try elsewhere. Jesus was always doing good acts and then telling the recipient of his great work to tell no one. When he healed the deaf man with a speech impediment, he took him aside privately, away from the crowd and then ordered the man and his disciples to tell no one. The tension builds in Mark’s gospel because “the more he ordered them, the more zealously they proclaimed it.” (Mark 7:36) So much for keeping Jesus’ confidentiality. Nevertheless, Jesus kept on providing comfort, healing and restoring people’s hope. He didn’t do it for glory. Jesus was in the business of challenging and changing people by calling them to do simple actions. To whom can you give a glimmer of hope or a new perspective today? How about the person who just lost a spouse, or the child whose family is too busy to spend time with him? It could be the annoying relative who was sitting at your Thanksgiving table or the boss that scheduled a meeting just as you were about to leave for vacation. I am not saying you have to like the person or the situation for which you make a secret offering. Resentment may just add to the benefit you get from the act of kindness. Not that we are looking for benefit from this action, but maybe you will learn something about the other person and yourself. Perhaps you have an idea for a kind act for the greater good of the community. There is something to be said about not expecting anything in return, no praise or recognition. I am not pretending to be Jesus, but I have tried the anonymous deed thing on a small personal scale and it is worth the feeling that happens when I am not seeking extra credit points. Life is difficult. Living on this earth has always been scary. Times in Jesus’ day were awful for people then and in all honesty, our times now aren’t great for many. There are a lot of folks and families without homes and food on a regular basis. We may have the television and social media to make us think we are connecting with others, but next door neighbors don’t know each other’s names or anything about their lives. I often feel numb from the news. I was saddened by the loss of life and property in Paradise, Calif., a town barely on the map after the fire of the last week. Not only were citizens and animals lost and displaced, but firefighters and emergency workers made great sacrifice in efforts to save lives and property to little avail. Those on the scene may not have intended to be heroes, but they rose to the occasion and did what they could. No doubt that even in that terrible disaster lots of people made a difference and much comfort was extended. I am not proposing that we stop watching the news or being aware of the tragic and difficult things that go on in this world. I am reminding myself through this writing that it doesn’t take much to make a difference in any circumstance. What seems like a tsunami of bad stuff can be turned back, especially if we band together, with droplets that turn into waves of good extended toward others. Little things mean a lot. Hope dawns. Just letting someone know they were secretly thought of can bring lightness and love to a world that regularly provides shadows and overcast clouds. It’s the holiday season, which is not always wonderful. I can’t imagine anyone who couldn’t use a positive surprise given without a signature. This little something could be desperately needed or not even thought of. A gift of grace that only needs to be received. Rev. 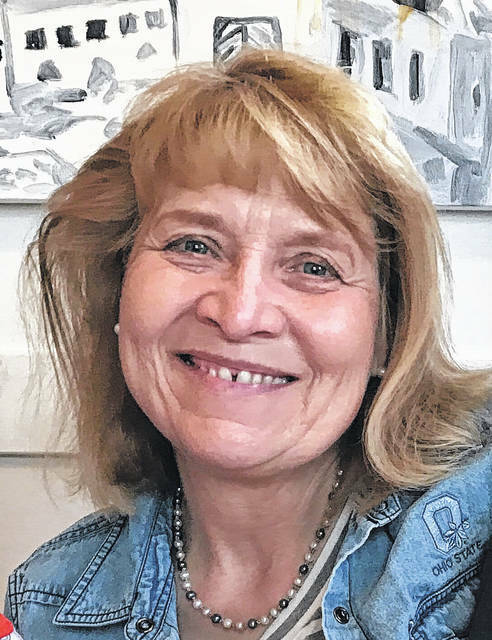 Patricia Stout is part-time pastor at Iberia Presbyterian Church in Iberia, Ohio, and an active member of the Delaware Ministerial Association.